06.25.18 | Anti-Bullying Blog | Comment? What would you do if your child was being bullied at school? For most, contacting the school and speaking with the year head or vice-principal would be the first course of action. Schools have a responsibility to have in place policies and procedures for preventing bullying and dealing with incidents if, and when, they happen. But what about over the next two months, when schools across Northern Ireland close their doors for the summer holidays? Here we take a look at some of the support available for both you and your child during this time, if he or she is experiencing bulling. Unless your child tells you they are being bullied, it can be difficult to know for sure if this is the case. Bullying, like all forms of abuse, is concerned with one person, or a group of people, using power or influence over others. It thrives in a culture of secrecy. Many children who experience bulling feel fear and shame, and are often reluctant to confide in anyone, even parents. These signs alone do not mean your child is being bullied. Therefore, it is important that you talk to them, and encourage them to be open with you about their feelings, fears and anxieties. This can be an extremely difficult experience for everyone involved. Remember that you too may need help, support and guidance on dealing with this issue. There are a number of organisations that can help you as you go through this trying time. Parenting NI, a member of the Northern Ireland Anti-Bullying Forum, runs the Parents Helpline (0808 8010 722). This line is staffed by a team of volunteers specifically trained to provide support and advice on a range of issues, including bullying. 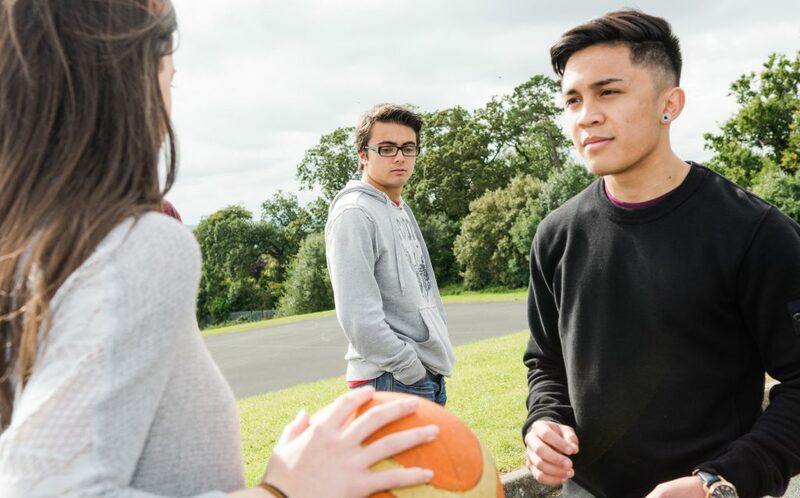 Research has shown that the effects of bullying on children and young people can be long-lasting, and often stay with those who have experienced bulling into adulthood. It is important that support and advice is available to your child during this time. For advice and support you can call Childline on 0800 1111. Or visit the Childline website for advice, to share your experiences on the ChildLine message board and see if the community can help. Alternatively you can speak to a counsellor online through a 1-2-1 chat. If you are concerned about a child that you think may be experiencing bullying, you can get advice and support from the NSPCC, through their website and by calling 0808 800 5000. The NIABF website has a range of resources specifically for parents and carers which you may fine useful. NIABF recently produced a toolkit for parents and carers, supporting you to help your child. You can down it here.